I love Indian food, mainly for the creative and delicious spice mixes (masalas) that are used in both savoury and sweet dishes. My current favourite is chai masala which is used to flavour tea. This fragrant spice blend is generally made from cardamom, cinnamon, ginger, clove and black pepper. 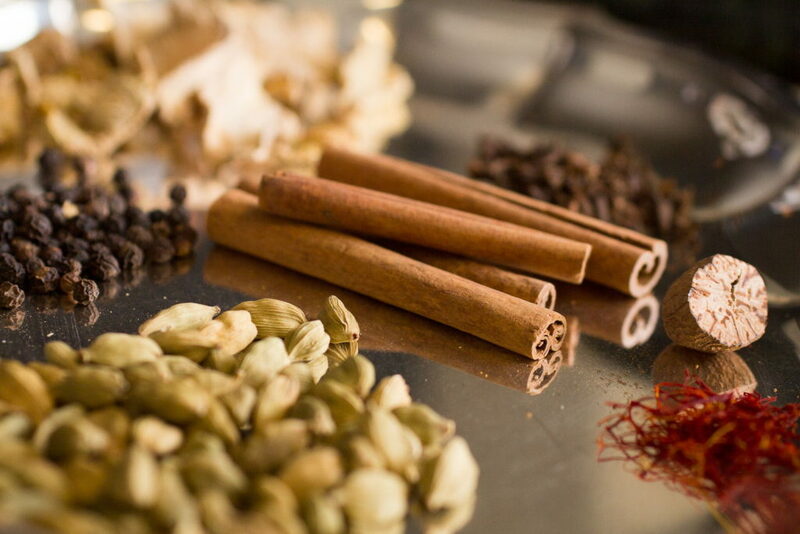 I’ve gone beyond tea with this aromatic spice mixture and have used it in baking as well as braised and grilled dishes. My latest experiment was using chai masala to flavour milk kefir. 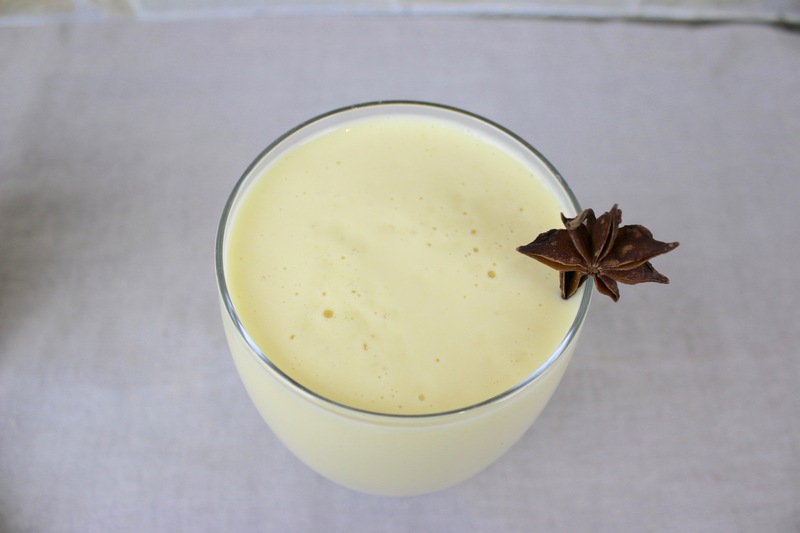 This inspired a delicious twist on an Indian classic treat: a Milk Kefir Mango Lassi Smoothie. Lassi is a traditional, refreshing yogurt drink enjoyed in India. 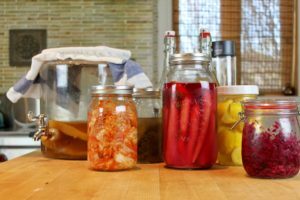 It is often mixed with water, spices and fruit. 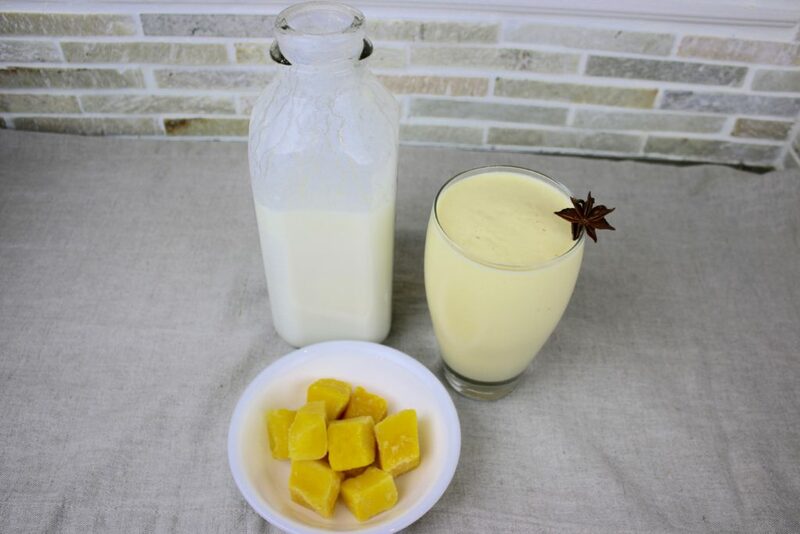 A popular version is the mango lassi, which is a blend of mango, cardamom and honey or sugar. I added some frozen mango I had on hand to the chai milk kefir I had made. The result was a gorgeous, creamy, fragrant, incredibly delicious drink! If you want even more sweetness you can add a banana or a drop of honey. If you love mango and want a change from your same old smoothie flavours, you’ve got to try this one!